Several years ago, I wrote about the importance of having a disaster recovery plan. In that article I talked about a theft that occurred at one of my car washes. Two auto cashiers were severely damaged in a burglary. I had to deal with damaged equipment and the loss of cash that was stolen, not to mention the loss of business I endured while waiting for the new parts to arrive. Once you are forced to deal with a disaster or tragic event, it certainly makes you analyze your life, your business, and your future. I am thankful I spent the extra time with my insurance agent to make sure I had the proper business coverage in place well before the burglary occurred. Take a few minutes to think about your insurance coverage and ask yourself some basic questions: Are you covered if a theft or burglary were to occur at any of your locations? What about a fire, earthquake, or tornado? What if a customer were to slip and fall at your car wash? When was the last time you sat down with your insurance agent to discuss your coverage? Do you even know what types of coverage you have? A commercial liability insurance policy insures your business if a person is injured or his/her property is damaged while at your location. As car wash owners, we are not like an Internet company or business, which operates out of an office. At any car wash site, there is water, electricity, chemicals, and moving equipment. This is a very good recipe for potential issues and, unfortunately, we live in a society where aggressive lawyers are always ready to pounce and file suit. How much liability insurance do you need? In my area, lawyers advertise that they can win judgments in the millions of dollars. I recommend you purchase as much liability insurance as your business can afford. Better to be safe than sorry. This type of insurance provides coverage that reimburses you if you suffer a loss due to damage or destruction to your business property. Property insurance covers both real property and personal property. Real property consists of land and anything attached to it, such as buildings. Personal property is the tangible property used in the operation of your business. Basic property insurance policies are written to cover damage caused by fire, lightning, smoke, vehicles, vandalism, and other events, including riots or a sinkhole collapse. Pay close attention to this section of coverage, and ask your insurance agent what is recommended for your area. 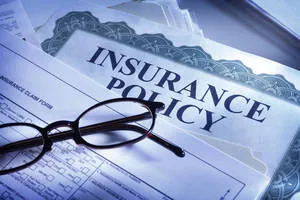 Some insurance companies consider these types of incident coverage as riders that can be added to a policy, special endorsements or even named peril policies, in which coverage only applies to losses incurred from the specific risks named in the policy. Incidents often listed in this category include weather-related events like windstorms and hail but also include things like water damage, mud slides, earthquake damage, glass breakage, falling objects, and even the loss of cash on-site. Make sure you understand which method your insurance company uses to determine the value of your property. If your business should suffer a loss, the difference could add up to thousands of dollars. Most insurers generally use two methods: replacement cost and actual cash value. Replacement cost covers the actual cost to replace the damaged property with new property. Actual cash value is the replacement cost, minus the accumulated depreciation for age and condition. This coverage protects against the loss of income a business can suffer following damage to the insured property. It also is sometimes called loss-of-income insurance or business income insurance. This is an important coverage. Think of it as disability insurance for your business. While property insurance will pay to repair or replace damaged property after a covered loss, it does not pay for lost income from a stoppage in operations. Interruption of business insurance, on the other hand, is designed to pay income and expenses for a specific period of time to help keep your business running while damages are being repaired. This is another reason to keep good financial records on your business. When I filed my claim for the loss of business from the burglary of my auto cashiers, my insurance company requested two years of income statements from the car wash. They had to validate the claim. Fortunately, my records were in good shape, and the claim was paid immediately. This type of coverage insures the loss of money or securities resulting from burglaries, robberies, or destruction. It also covers loss due to employee theft or embezzlement. Be prepared to validate your claim if you everhave to file. When I filed for the auto cashier incident, my insurance company wanted the reports to back up my claim. This is a package approach to insurance coverage that combines property, general liability, interruption of business, and other types of insurance coverage into a single policy. You can save money if you purchase a business owner’s policy because insurance companies typically give a discount to owners of multiple policies. This insurance provides coverage for multiple property types at a single location or similar types of properties at multiple locations. If you own more than one car wash, you can cover each location the same way with a blanket insurance policy. In addition to reviewing your insurance coverage, it also is a good idea to look at what your out-of-pocket deductible expense will be if you have to file a claim. Typically, your deductible is a predetermined dollar amount or a percentage of the value of the property the policyholder must pay before the insurance company will pay for a covered loss. The more risk you are willing to take on yourself, the less premium you will pay. While insurance companies generally offer different deductibles, be careful not to raise your deductible to a level higher than you can afford to pay out of pocket. Besides taking on a higher deductible, there are several ways to save on insurance coverage. First, get quotes from at least three different insurance companies and compare them with your existing coverage. Some may offer special packages. If you like your existing insurance company but find a cheaper rate, show your agent the competing quote and ask if your current provider can meet the competitor’s price. You may never know what is available if you don’t ask. With that in mind, you may also want to ask your insurance company about custom tailoring your coverage. Your agent may be able to develop a business owner’s policy that specifically meets your needs and is more affordable than your current coverage. As car wash operators, we can become so focused on the task of washing cars that insurance coverage is the last thing on our minds until something bad happens. I recommend you review your insurance policy annually and make necessary changes as your business evolves. Always be prepared, you never know what tomorrow brings.